Extensive experience in structural engineering, design, investigation, failure modes, structural failure investigations, damage assessment, construction litigation help in COP, Scope of work changes, design delays, threshold inspection delays. Fruchtman and Associates is a Consulting Engineering firm specializing in design, consulting, expert witness, and forensic engineering services. Our areas of expertise include heating, ventilating, air conditioning (HVAC), plumbing and fire protection systems for buildings. 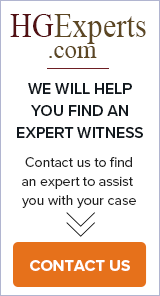 Expert Witness Servise for construction defects, building codes, stairway accidents. Specializing in Oregon Building Codes and Hostoric Buildings. Matco Associates, Inc. is a leading independent consulting, engineering, and testing firm specializing in the fields of failure analysis, corrosion, metallurgical engineering, cathodic protection systems, materials selection, and coatings. Mays Consulting & Evaluation Services, Inc.